I would like to present you the “Cutty Sark”. The Cutty Sark is a British clipper ship. She was finished in 1869 and was one of the fastest sailing ships of her time. The construction cost amounted to 20.223 pounds. 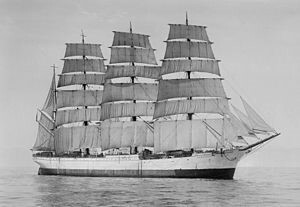 This ship was the last clipper which was built for sea trade. In 1954 she was put on in a special dry dock in Greenwich, London, as a museum ship. In May 2007 the ship burned down almost completely. 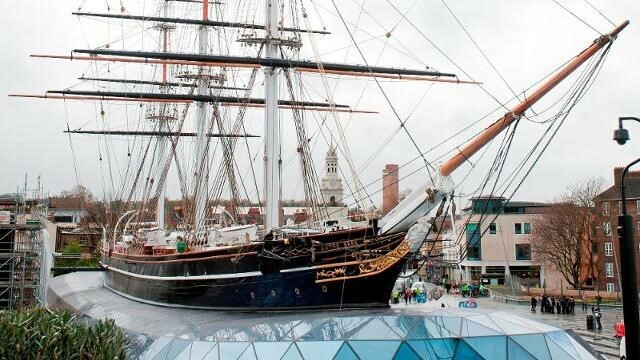 After the renovation the Cutty Sark was reopened on the 25th of April 2012. 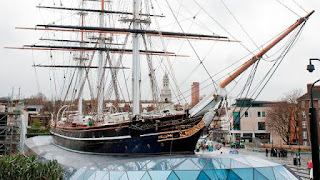 I absolutely recommend visiting this ship museum, because in the ship museum you can discover what life was like on board the real Cutty Sark. On board you can enjoy special family weekends, events and activities.